This Request for Proposal (RFP) is a solicitation for a vendor to provide a commercial off the shelf (COTS) Laboratory Information Management System (LIMS) to Loudoun County Sanitation Authority (Loudoun Water). The VirtuLIMS Project - A collaborative internship program of Poitiers University, The Laboratory Informatics Institute and LabLynx, Inc.
Poitiers University in France had contacted LabLynx, Inc. enquiring about a partnership of some kind where they could have a LIMS to use for teaching purposes. LabLynx, having its webLIMS hosted Software as a Service product readily deployable online, provided its ELab LIMS to Poitiers free of charge, along with help and support in working with it. 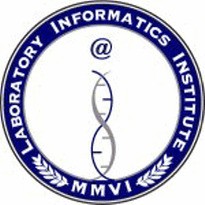 This gave students the unique opportunity to learn about laboratory informatics first hand. After a successful semester, Claude Goldszmidt at Poitiers requested an internship in Atlanta for one of their students, Aymeric Sarrazin. Wockhardt UK is a diverse pharmaceuticals company created from the merger of CP Pharmaceuticals and the Wallis Laboratory. Its FDA-approved manufacturing facility adopted a laboratory information management system (LIMS) as part of its continuous focus on quality. The company selected Thermo Scientific Nautilus LIMS(TM) to improve efficiencies and ensure GMP compliance within its UK-based manufacturing facility. 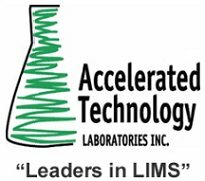 Accelerated Technology Laboratories, Inc. (ATL) will host a webcast on September 29, 2010 to introduce ATL TITAN™ - the next generation in Laboratory Information Management Systems (LIMS) and chemical inventory management. In 2008, a new edition of ISO 9001 went into effect. The literature says the new version doesn't introduce any new requirements but only clarifications to the existing requirements. Join Labtronics on September 21st or September 23rd to discover how to interface your lab to SAP. This webcast will be of interest to anyone who is thinking of using SAP to manage the lab. CSols Webinar: Disappointed with your LIMS? Want to improve its performance and not sure which direction to take? This webinar will teach you the key steps to evaluate and select the best solution for your lab. Actuate Corporation, The people behind BIRT(R) and the leader in open source Business Intelligence, today announced the release of BIRT 360 and BIRT Data Analyzer. These new additions to the product line deliver flexible, highly adoptable in-memory analytics and dashboarding capabilities and are part of ActuateOne (see press release titled 'Announcing ActuateOne'). Fletcher-Flora Health Care Systems, Inc. today announced a Reference Lab Sample Routing enhancement to its FFlex eSuite™, the latest addition to the company’s growing line of Web-based Laboratory Information System (LIS) solutions for the clinical laboratory. GenoLogics announced that The Jackson Laboratory, located in Bar Harbor, Maine, has chosen the Geneus platform from GenoLogics to efficiently facilitate its next-generation sequencing research.